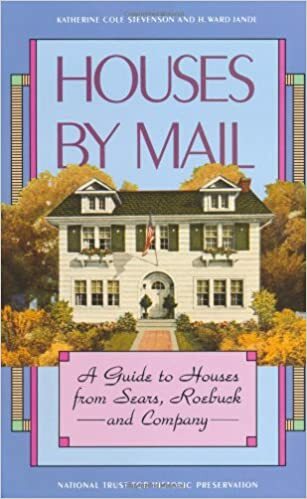 The definitive guidebook for Sears houses is Houses by Mail by Katherine Cole Stevenson and H. Ward Jandl. Published in 1986, the book features over 400 of the Sears house models, arranged by roof type. At the time, Stevenson and Jandl did not have every Sears Modern Homes catalog at their disposal; therefore, they missed a few models that were sold for only a couple years. One of those models not included in Houses by Mail is the Sears Parkridge, sold from 1929 to 1931. 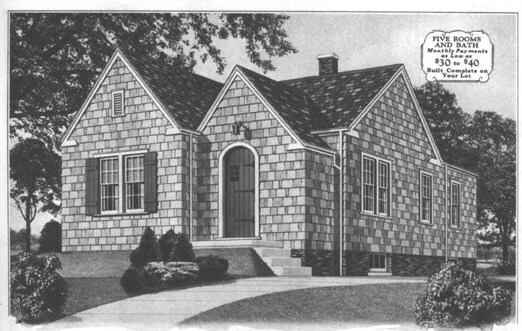 Sears Parkridge from the 1930 Modern Homes catalog. We have several Parkridges in the Chicago area; following are some of them. 17538 Ridgeland Rd., Tinley Park. It's like a dollhouse! This is an authenticated Parkridge; Sears Roebuck held the title in 1939 after a foreclosure. Capture from Google Streetview. 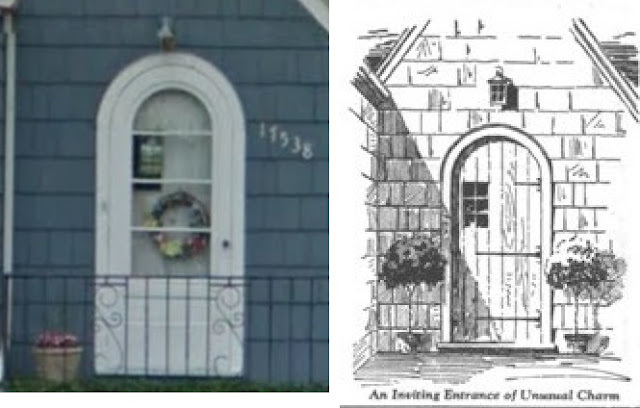 The house still has the original Sears front door. 670 Bluff City, Elgin. This Parkridge was built in 1929 for Harold Rohles for $4500. The owners have the blueprints, all original correspondence with Sears Roebuck, and the assembly instructions. (Sears would flip the floor plan for no additional cost.) Photo from Elginbungalows.com. 510 Gertrude, Elgin. 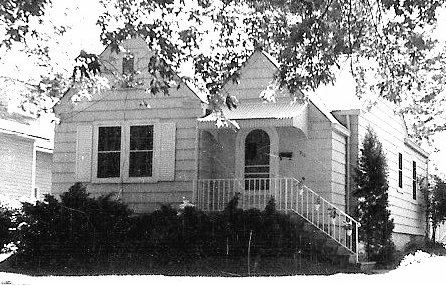 The house was built in 1929 for Harry and Maude Strong for a cost of $5,000. 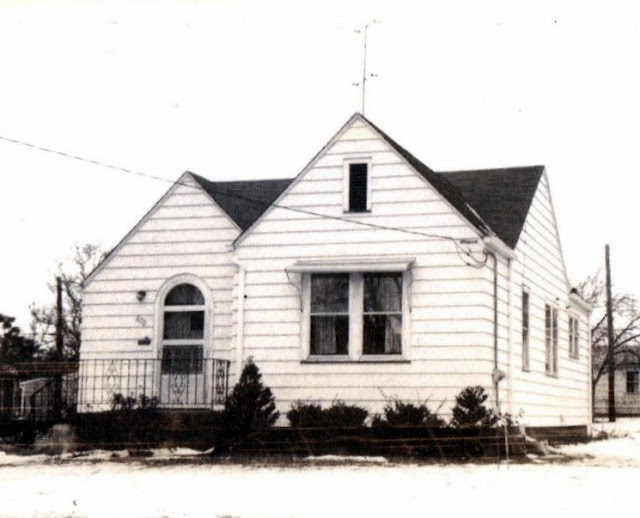 Many people in Elgin had heard this house was from Sears Roebuck even before Houses by Mail came out. I wonder what they thought when the house was not in the book! Photo from Elginbungalows.com. 2121 Wespark Ave., Whiting, IN. This Parkridge is authenticated with a mortgage record from Sears Roebuck. Almost every Sears model was available with face brick as an exterior. Capture from Google Streetview. I had no idea that some models had slipped through the cracks! The Parkridge is a sharp-looking house; the brick and shingled exteriors both add a lot of character. It looks like all four examples you've shown still have their original doors... an excellent testament to the quality of Sears houses.